While hardwood flooring is universally loved, everybody’s idea of an elegant look is unique. 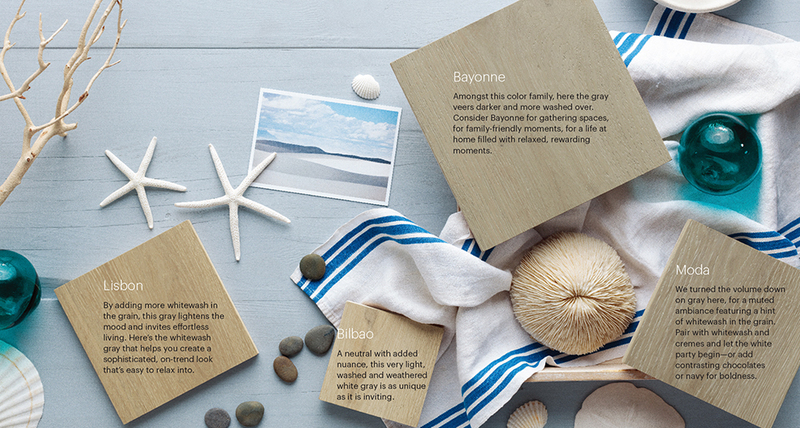 The factor that turns hardwood into an intimate, personal statement is color. Mediterranean Collection hardwood flooring takes this art to a new level, with 31 on-trend tones passionately mixed. How can you possibly choose among so many beautiful options? 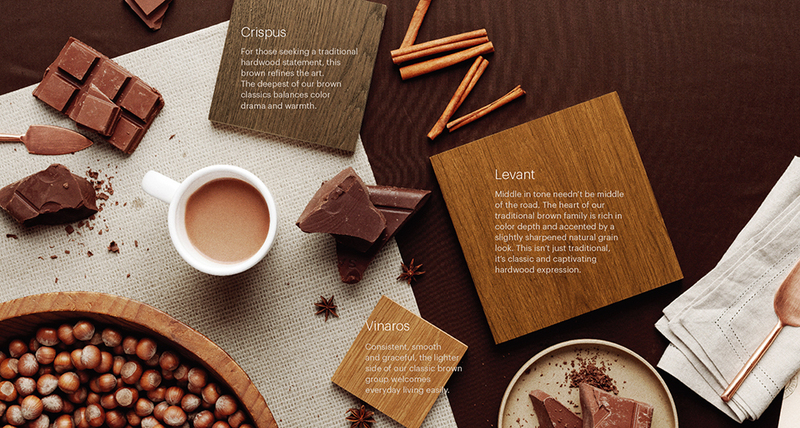 We’ve organized our stains into six distinctive color groups to help. Each group is artfully named and complemented by suggestive visuals to help you connect emotionally. 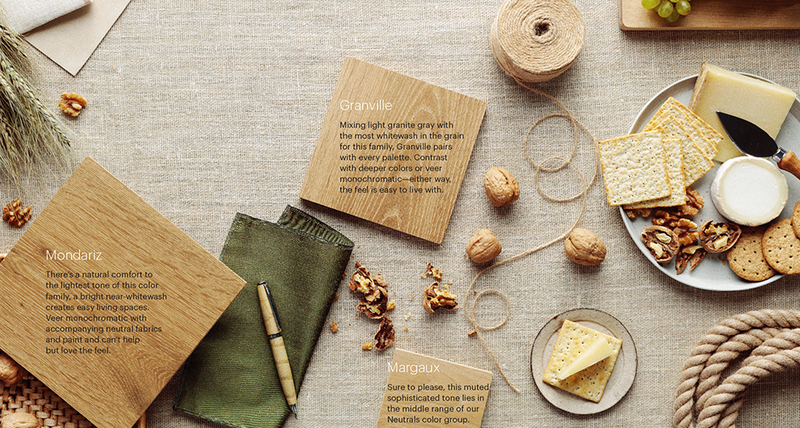 Starting at the group level, compare the overall feel, imagining how it complements your personal vision. With a preferred group identified, choose among a range of meticulously mixed expressions of the overall color to dial in precisely. 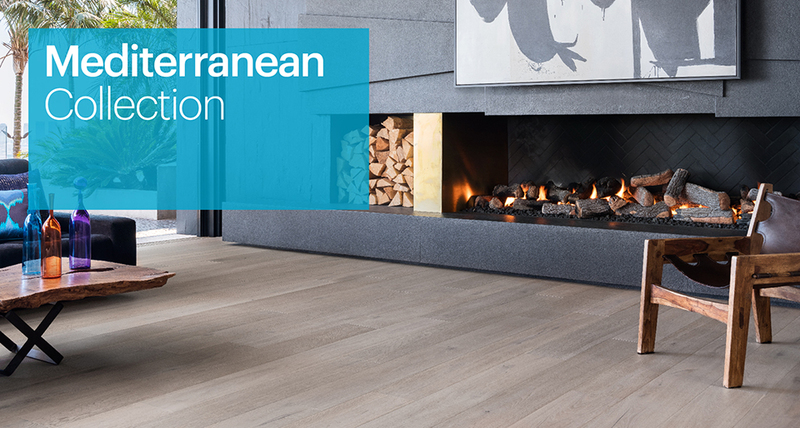 Lighter or darker, uniform or bringing extra emphasis to French Oak’s grain, the perfect color appears in a moment of epiphany—and our Mediterranean Collection becomes your perfect floor. 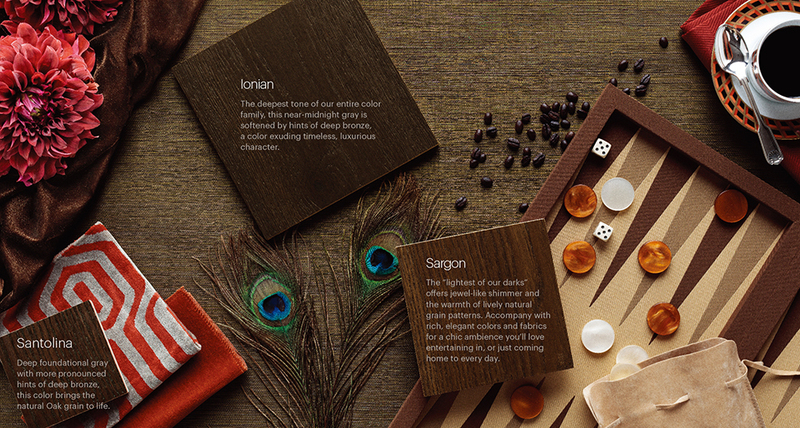 Peruse the many stains of the Mediterranean Collection and color your world beautifully. Natural warmth fresh off the farm. here are the light, inviting Neutrals to transport you there. Embrace sophisticated, clean and simple. 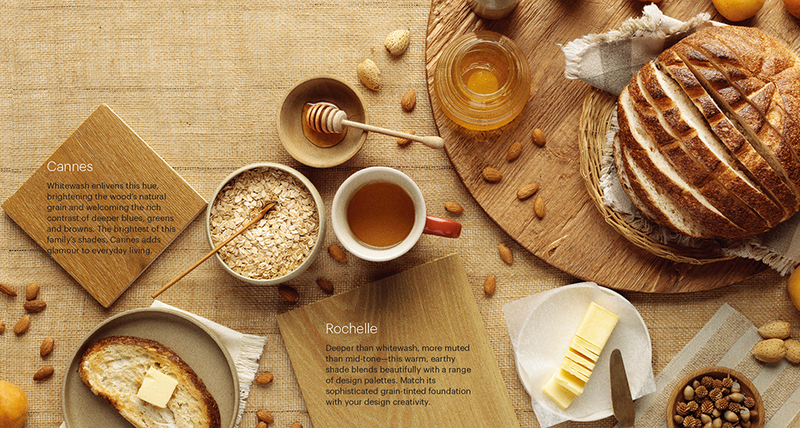 Bring warmth and taste home. oers earthy warmth with expressions of light gray and taupe. A perfect pairing to turn living spaces elegant and inviting. 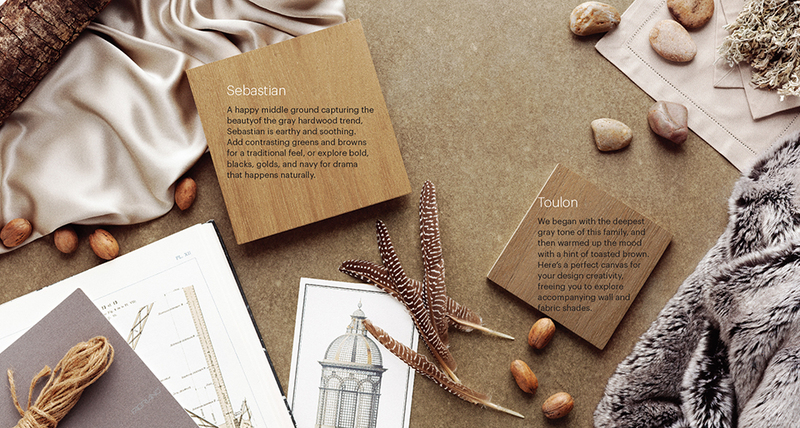 wood grays evoke modern elegance. Deep tones. Sophistication that’s deeply emotive. these hardwood tones bring sophistication to every space. Brown traditionals. Classic design perfected. tradition and emanate livable warmth. Find your perfect color.